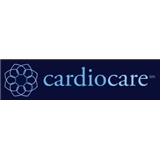 CardioCare (Hagerstown) - Book Appointment Online! CardioCare is a unique, forward-thinking cardiology practice that strives for excellence in all aspects of service. Dedicated to delivering unparalleled cardiovascular care, our physicians understand the importance of treating cardiovascular disease as well as promoting preventive heart health and overall wellness. Serving the Washington, DC metropolitan area since 2007, CardioCare is recognized as one of the East Coast's leading cardiology group practices. Our offices in Chevy Chase, Maryland and Washington, D.C. are easily accessible either by car or by Metro near Red Line stops at Friendship Heights and Farragut North, respectively. State-of-the-art technology for cardiovascular testing is available at both locations. PLEASE NOTE: CARDIOCARE HAS A 24-HOUR CANCELLATION POLICY. Patients who cancel within 24 hours of their appointment may be subject to a late cancellation fee. Dr. Flyer was very knowledgeable and easy to talk to. I really appreciated that he took the time to listen to my concerns and didn't dismiss them (despite my young age), validated them, and gave me assurance (through testing). He was very honest in a gentle manner. I would definitely recommend him to anyone, of any age, that has any cardiology concern. His staff was also very warm and kind.